Bentley has taken the covers off the Bentayga V8 Design Series. The special-edition model features exclusive exterior and interior elements from Mulliner – Bentley’s in-house customisation brand – for a more ‘distinctive road presence’. Based on the Bentayga V8, which uses a 4.0-litre, twin-turbocharged engine, the Design Series comes with the SUV’s Blackline specification as standard, adding a lower front bumper and twin tailpipes finished in gloss black. New ‘Paragon’ wheels have also been added in the form of a seven-spoke unit finished in Palladium Grey with polished accents, as well as the self-levelling ‘B’ badge at the centre. Inside, the Design Series is available with one of four colour themes – Pillar Box Red, Orange, Mulliner White and Klein Blue – all of which provide different accenting and are paired with Bentley’s ‘Beluga’ leather upholstery as well as Piano Black and carbon-fibre panels with an exclusive weave. A Breitling clock has also been fitted to the centre console, which features a mother-of-pearl face and diamond jewelling. 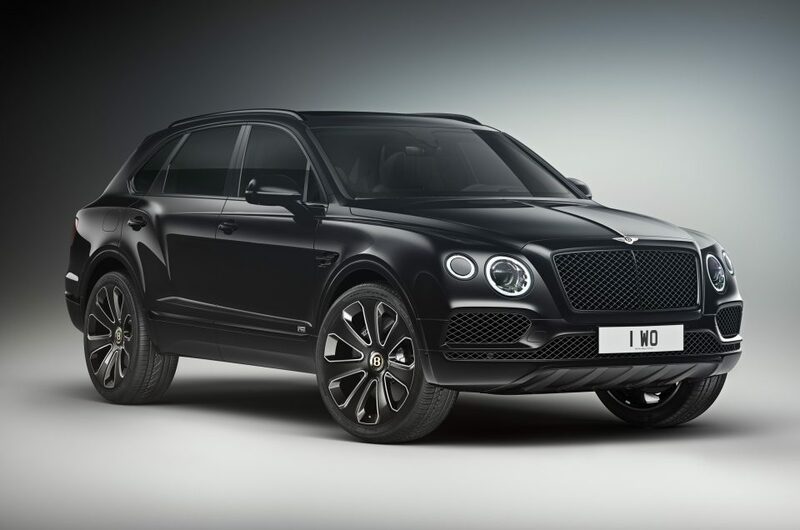 ‘Design Series’ designation is included on the seats and on the exterior of the Bentayga V8 as well. These design updates don’t limit the Bentayga’s capabilities though, as the luxury SUV still comes with the recently introduced V8 petrol, which develops 542bhp and 770Nm of torque – getting the model from 0-60mph in 4.4 seconds, while also being able to reach a top speed of 180mph. Prices are yet to be confirmed, but an increase over the standard Bentayga V8’s £136,200 is more than likely.